Bogota is distinguished by its geography. It is a city surrounded by mountains on the eastern side, framing and bordering its periphery. As in many other Colombian cities, this periphery has been the scene of constant arrival of rural residents and displaced people in search of opportunity and a new life in the capital city. In this process, the periphery has lived for the past decades an accelerated and sporadic growth which is different from that of the rest of the city. Two parallel processes have been generated: the planned or formal city, and the auto-build or sporadic city. This has generated a territory divided socially, between north and south, between periphery and centrality, between rich and poor. The city currently has ten million inhabitants, and it is estimated that between 30 and 40 percent of the city has been self-built through various social dynamics and collective processes of formation by their inhabitants in the periphery. Many of these neighborhoods are consolidated progressively and organically, and they are in constant transformation and evolution. The structure of space, and the architecture of the houses, is a response to daily activities, and a reflection of the needs of its inhabitants and their cultural practices. Each inhabitant reaching the outskirts of Bogota from different regions of the country, brings new ideas in shaping the territory, enriching it with new knowledge and a varied cultural value. It is easy to find in these homegrown neighborhoods a lot of artistic groups and community organisations created by the people, seeking to improve their conditions and strengthen community ties. However, in the Colombian context in particular, cities have been marked by armed conflict and the invisible boundaries of social conflict. 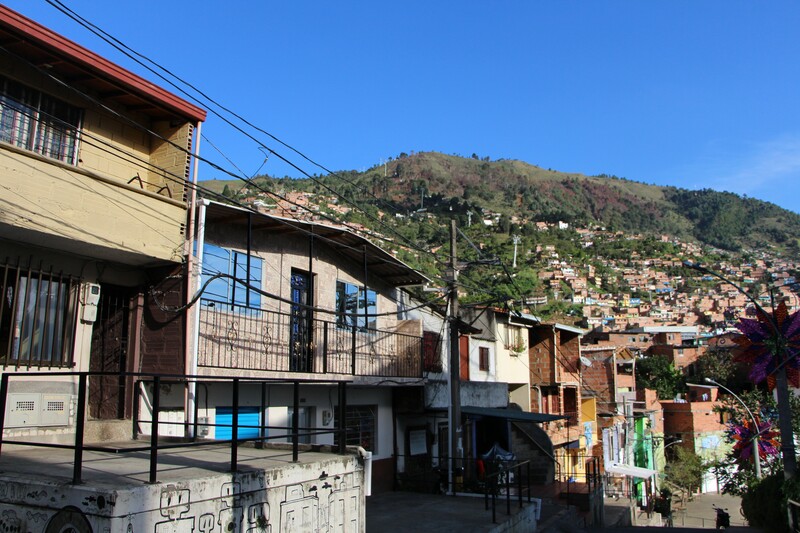 These emerging forms of organisation on the periphery of Colombian cities have led us to explore these neighbourhoods and to inquire into these collective processes commonly called “informal”: decision-making processes are not centralised here, and all inhabitants of these spaces participate in the construction of their neighborhood. In our passage through India and Brazil, we discovered that similar experiences were carried out by urbz, which motivates us to create urbz Colombia, with the aim of consolidating a network of experiences that seek to understand, value, recognise and generate knowledge in homegrown neighbourhoods. 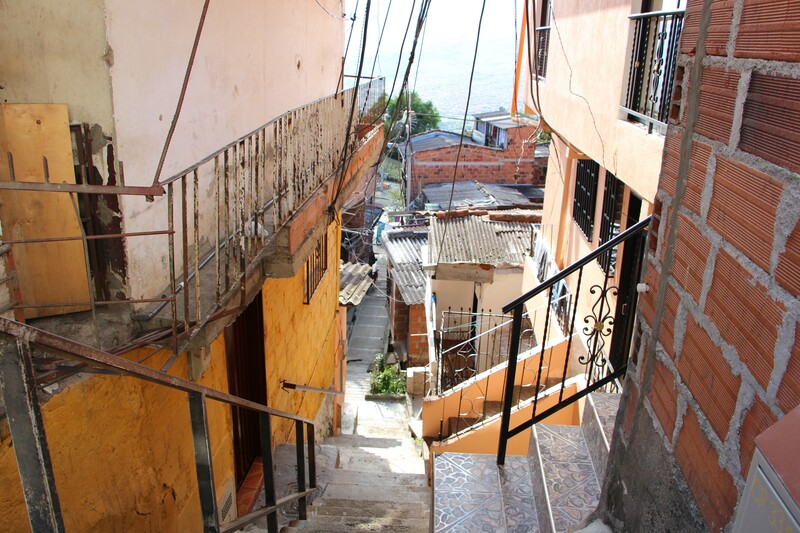 Although India, Brazil and Colombia are contexts geographically, socially and culturally different – where the production of space is a response to different dynamics – the fundamental idea, which urbz also advocates, remains as a connecting thread: We believe that residents are experts in their neighbourhoods. Their everyday experience of the places where they live and work constitute essential knowledge for planning and urban development. Thus, with the creation of urbz Colombia, we understand and recognise the contribution of these communities to Colombian cities. Our goal is to understand how these conformation processes in the homegrown neighbourhoods could be valid tools in the collective construction of cities, taking as a starting point the understanding of social dynamics in production of space in these neighbourhoods. We imagine urbz Colombia as an open and experimental platform to generate and share information from homegrown neighbourhoods of Bogota and Medellin, also with India, Brazil and Switzerland, appreciating and understanding the point of view of the people, their daily experiences, their needs and their experience in the knowledge of the territory. Taking off from an important and established urbz idea, urbz Colombia recognises that the inhabitants remain the protagonists in the production of their spaces. Through workshops and various activities urbzinvites professionals, artists and anyone interested to participate in various projects created in neighbourhoods for mutual learning. urbz Colombia articulates and integrates the experience and knowledge of local inhabitants for future intervention or research projects, and make partnerships with universities, governmental entities, and different groups and organisations who want to intervene in these sectors. From urbz Colombia we want to share and expand the ideas of millions of users and show the potential of ordinary people to collectively build sustainable cities in this region. 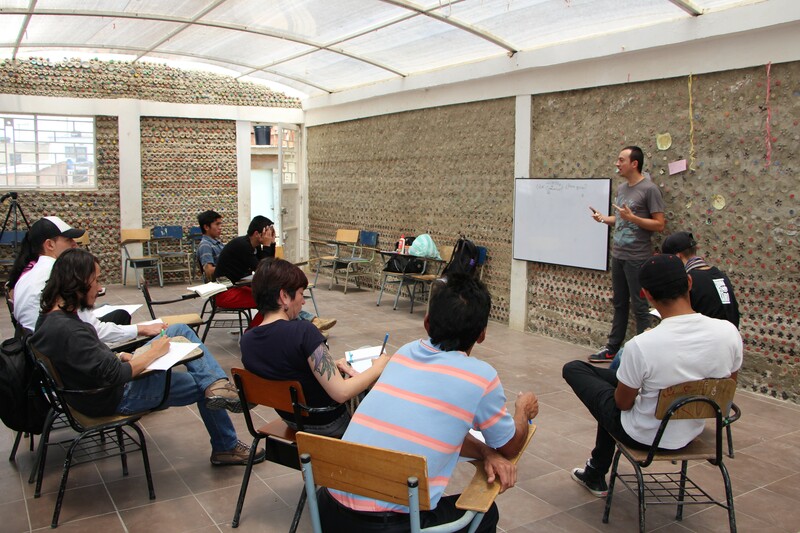 This is our first post written by the urbz team in Colombia.